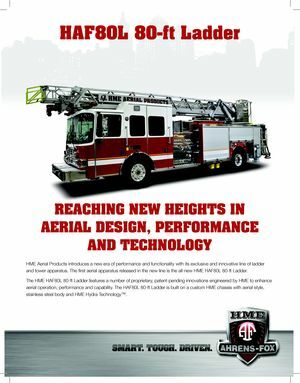 HME Ahrens-Fox Aerial Products introduces a new era of performance and functionality with its exclusive and innovative line of ladder and tower apparatus. 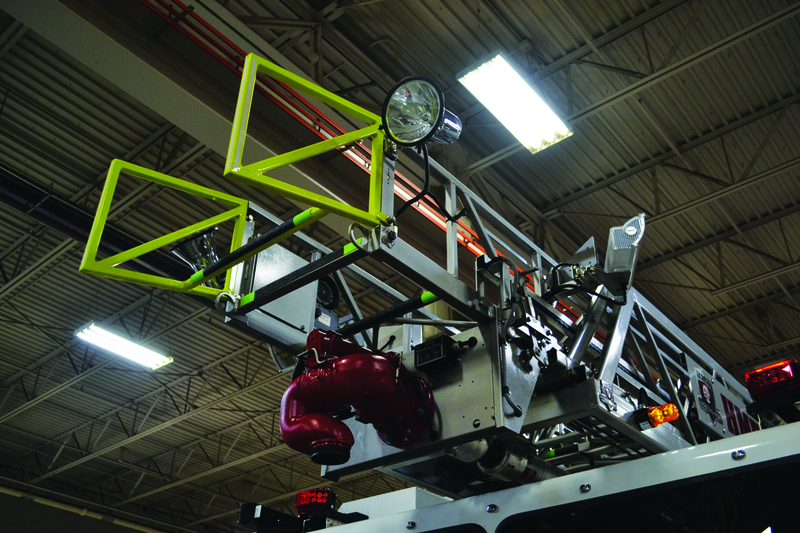 The first aerial apparatus released in the new line is the all-new HAF80L 80' Ladder. The HAF80L features a number of proprietary, patent-pending innovations engineered to enhance aerial operation, performance and capability; and is built on a custom HME chassis with a stainless steel body and HME Hydra TechnologyTM. 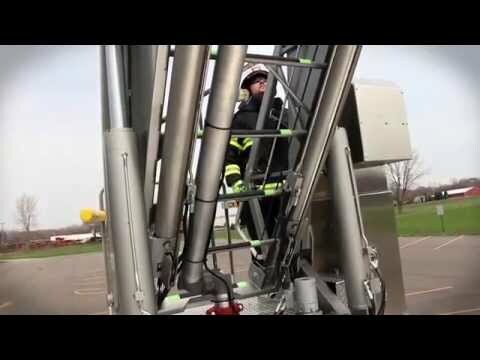 HME Ahrens-Fox HAF80L: A New Dimension in Aerial Reach, Engineering, Construction, and Technology. The HAF80L steel ladder construction features a stainless steel pedestal control stand with ergonomic guardrails to optimize turntable workspace. The design also incorporates patent-pending LED run alignment indicators for precision alignment, plus responsive joystick ladder controls. Hot-dipped galvanized out-riggers also deliver a long, dependable, maintenance-free service life. 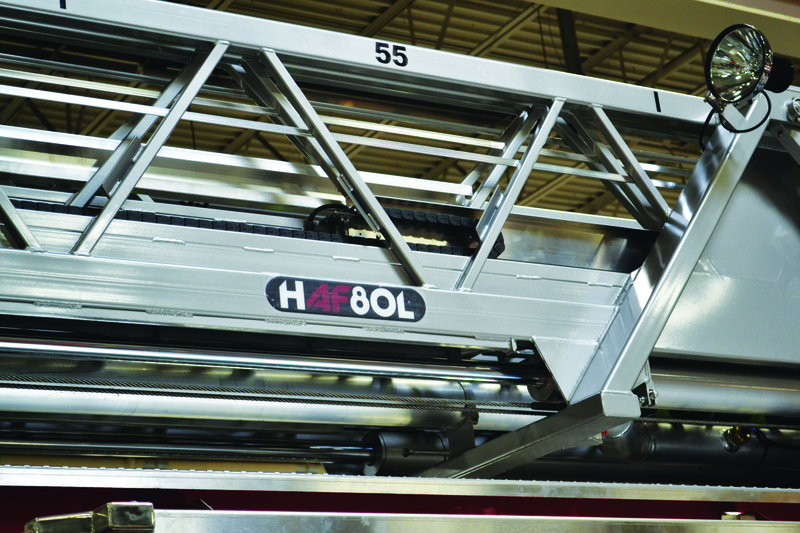 Built on an HME aerial chassis, the HAF80L is agile and highly maneuverable. 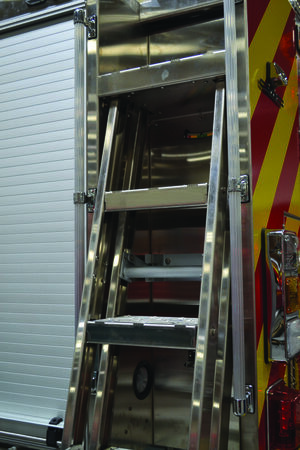 Its corrosion resistant stainless steel aerial style body with ample storage solutions for equipment and gear provides additional functionality and performance. 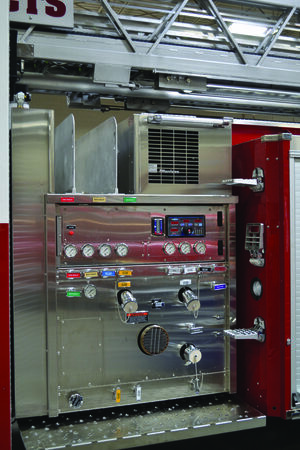 Integrated Hydra TechnologyTM offers powerful and effective fire suppression power. New and innovative valve control rod design offers precision performance and durability. 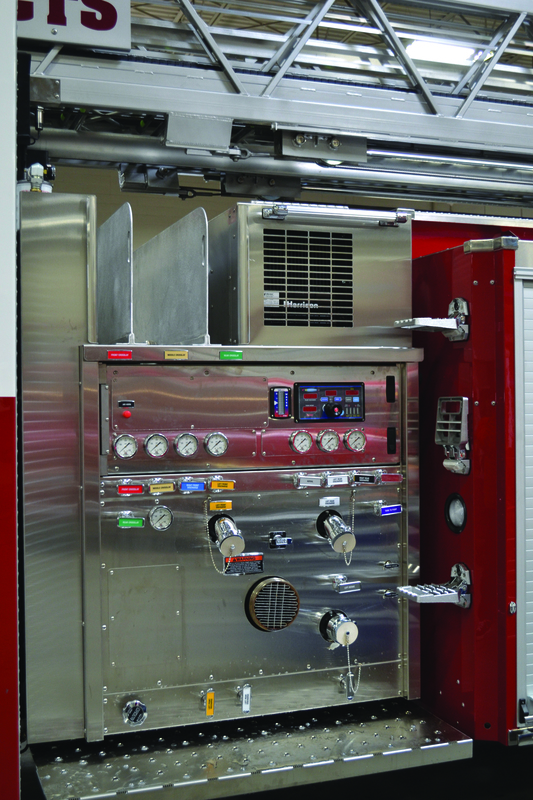 New automatic electronic fluid level monitoring systems also provide additional convenience and apparatus protection.